Muzzle is not a bad word. It’s not just bad dogs that wear them, and it’s not just bad dogs that should be trained to wear a muzzle either. 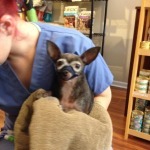 So when might a dog need to wear a muzzle? If your dog is stressed out and may do what dogs do, which is use their mouth and teeth to communicate. So why not just use the muzzle when you need it? 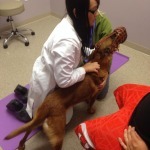 Because slapping a muzzle on a dog that doesn’t understand what it is, is really stressful. And if you wait until an already stressful time to put it on, then you’re just making an already bad situation even worse for the dog. If your dog has aggression or reactivity, please talk to a professional trainer first. 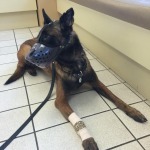 A muzzle is not a fix to your problem, and should be used in conjunction with appropriate training. 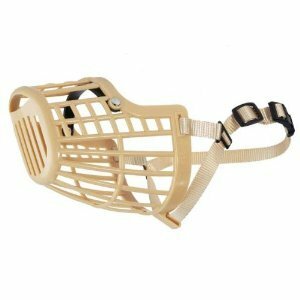 Let’s talk about the different types of muzzles available these days. These are the ones most people see at the vet and at pet stores. These keep the mouth totally closed and clamped tight. Vets and groomers like them because the chances of getting even a nip with this muzzle on, is pretty low. But they are meant to be used for short durations, because they do not allow the dog to drink, eat, or pant and breathe properly, since it restricts the mouth from opening at all. These are pretty traditionally scary for most people to see on a dog. But they are the best type of muzzle for long term wear. Typically, a dog can drink, eat, bark, and pant (to release heat and breathe) with these on. Hard plastic ones may have sharp edges or small pieces may break off. Same idea as the plastic versions, but more durable. These are my favorite basket muzzles. They are a softer, rubbery plastic so it doesn’t have sharp edges and no brittle plastic pieces to chip off. 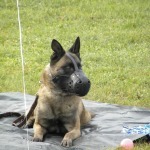 The openings in front are quite large, great for eating and drinking through, but if you are working with a dog that has a tendency to bite, the dog can still get at you if you are not careful with your fingers near the muzzle. 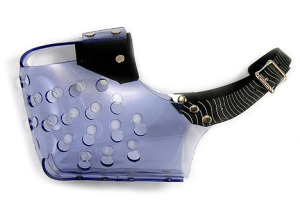 Perfect for sport dogs, protection dogs, and K9’s! 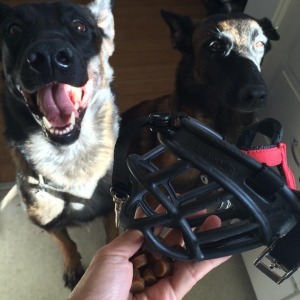 Some of these leather muzzles are made with a strip of metal across the front there, so a dog can still muzzle punch and do some damage while wearing the muzzle! Probably a bit overkill for most other casual dog owners though. 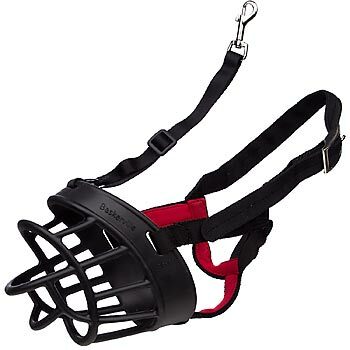 I like these muzzles best for training a dog to accept a muzzle. 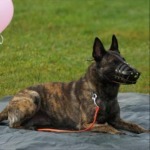 The plastic is soft and pliable, making it a comfortable muzzle for the dog to accept. The clear version offers a view of how much the dog is panting, snarling, etc. so you can gauge your training. The small holes offer adequate air flow, but also make it easy to fill the muzzle up with food/treats for initial muzzle training. Eating is difficult or impossible with this muzzle, but drinking is possible. For dogs prone to fighting with the muzzle on, it’s worth mentioning that, in my opinion, this muzzle hurts the least to be punched with. 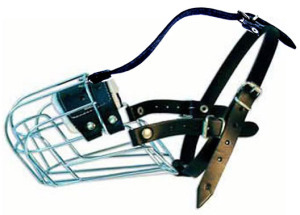 I’m honestly not even sure if this muzzle serves any practical purpose, other than provide hilarity. So now that you have an idea of which muzzle you might want, the next big consideration is fit. Be very sure to visit the manufacturers websites and measuring guidelines, and purchase a muzzle that is the right size for your dog! 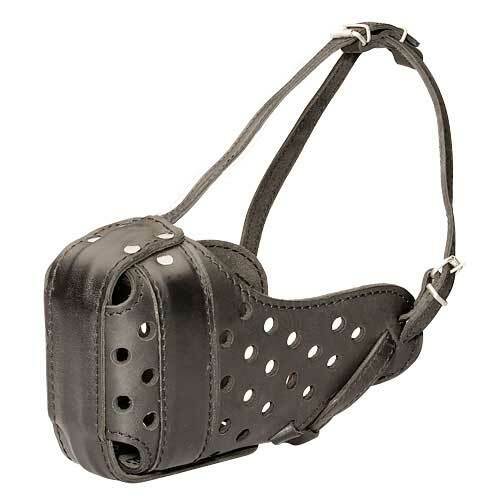 If your dog is a clever little guy, consider a muzzle with the third strap. 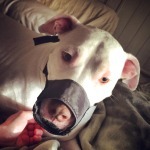 This greatly helps to secure the muzzle in place, even when the dog is pretty intent on getting it off. Now that you have the muzzle, where do you start? Definitely not by strapping it on right away! Start by teaching your dog to stick his nose in the muzzle on his own. 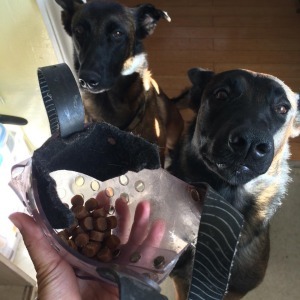 Turn your muzzle into a food bowl or food dispenser. 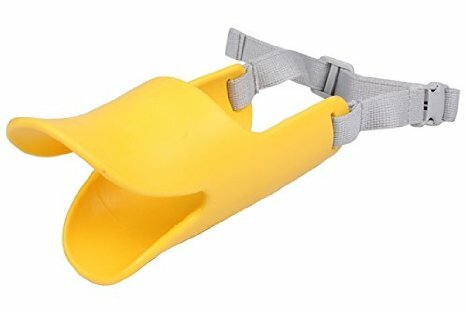 Put food or treats inside the muzzle for your dog to eat out of. Just hold the muzzle and let your dog eat out of it, no funny business or trickery, for a while. So that every time you get the muzzle out, your dog wants to stick his nose in it, looking for and expecting food. If you opted for a basket muzzle, use your hand as the treat holder so your dog has to go through the muzzle to get to the food in your hand. Put the food/treats in your palm, and hold the muzzle on top of your palm so your dog has to stick his face in to get the food. The next step is to use your other hand and start messing with the straps around his ears and neck. Start slow, be patient. If this startles your dog in anyway, ease up and go slower. The key is to make the muzzle fun and positive, and never scary. Keep playing with the straps, draping them over his neck, behind his ears, holding them in place, then tightening them and releasing. Continue to feed treats through the muzzle while you do this. 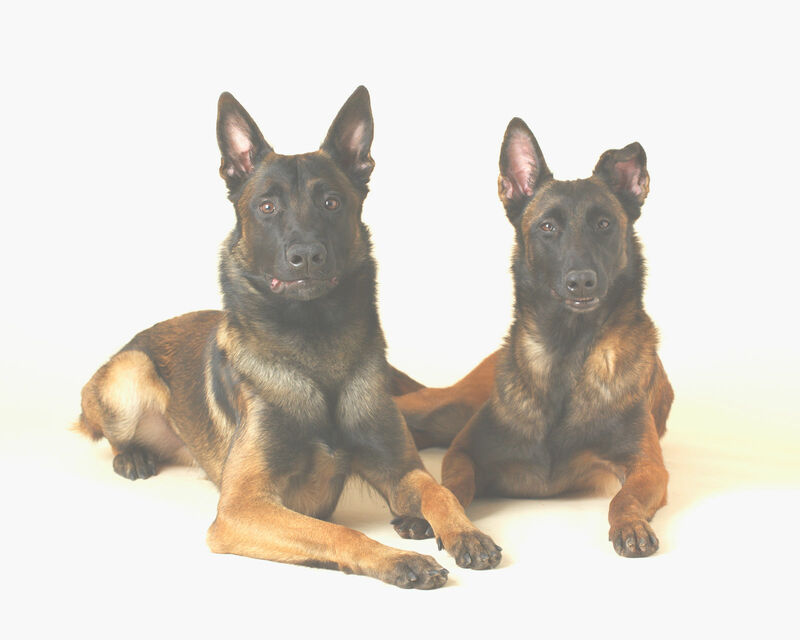 Slowly increase the time in between treats to build tolerance and duration of muzzle wear. 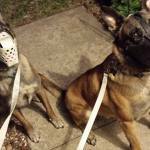 When you are able to get the muzzle strapped on, don’t leave your dog hanging! Do something fun with him, with the muzzle on, like a nice walk or having him follow you around the house for food, fed through the muzzle. Keep it positive. 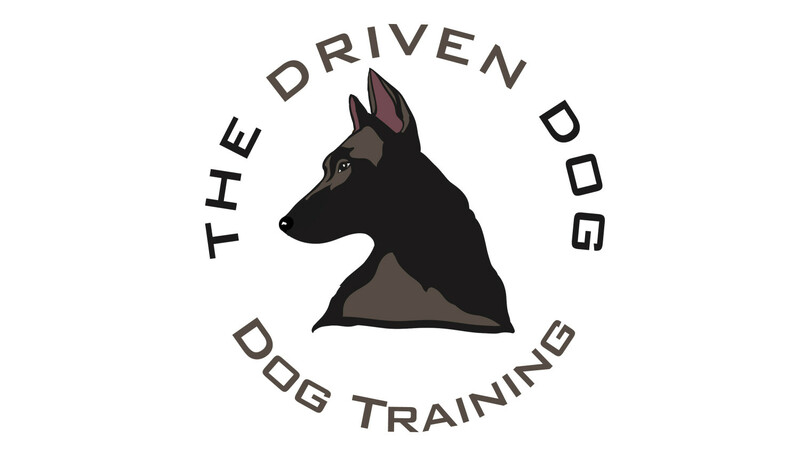 You’ll want to continue to practice training with the muzzle, the idea is that the dog doesn’t find the muzzle to be any big event. It should be non-chalant. Like, sometimes you go for a walk without a muzzle, and sometimes you go for a walk with a muzzle. Either way, the dog should accept it without stress. If you have done this, then congratulations! You have successfully muzzle trained your dog! 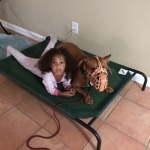 Now you can be confident, that in the event your dog needs to be muzzled, your dog will happily do so and it’s something you won’t have to worry about. 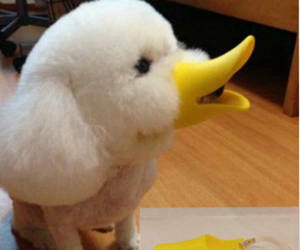 Or you can buy the duck muzzle and know that you can make your dog wear it anytime you want. ← Driving with your dog, safely.